Make your 2015-2017 Ford Mustang Shelby GT350 and GT350R stand out from the crowd with Carbon fiber rear diffuser for by Anderson Composite. 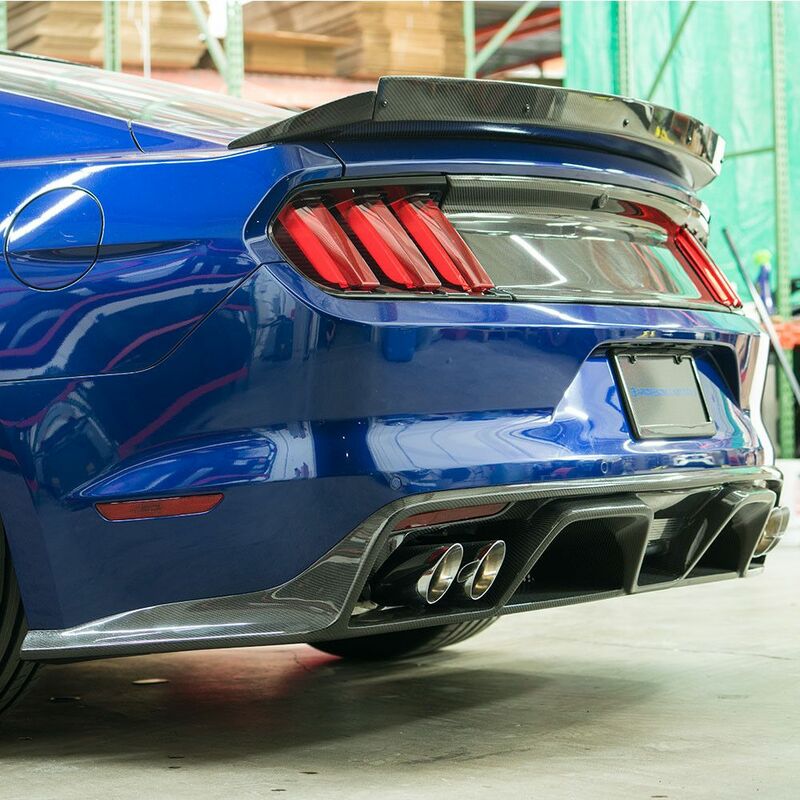 Anderson Composites Carbon Fiber Rear Diffuser for 2015-2017 Ford Shelby GT350. This product is manufactured "Wet" using 3K, 2x2 Twill Weave Carbon Fiber and Anderson Composites proprietary vacuum infusion process. The industry calls this highly recommended to use an automotive clear with UV process "Wet" because the resin is introduced into the mold as a liquid; this process produces a high gloss, wet-look shiny finish. For protection against the sun UV rays it is inhibitors to prolong the life and finish of the product. Mounting tabs may require modifications for correct fitment; minor adjustments may be necessary as part of the normal installation process. 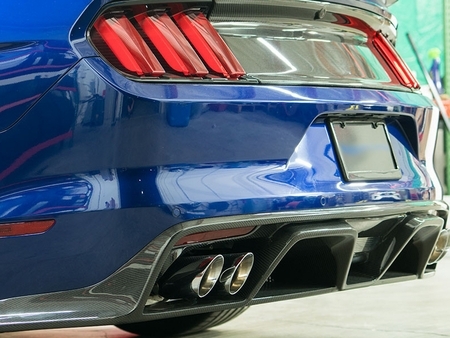 Replaces OE rear diffuser - will not fit standard Mustang. 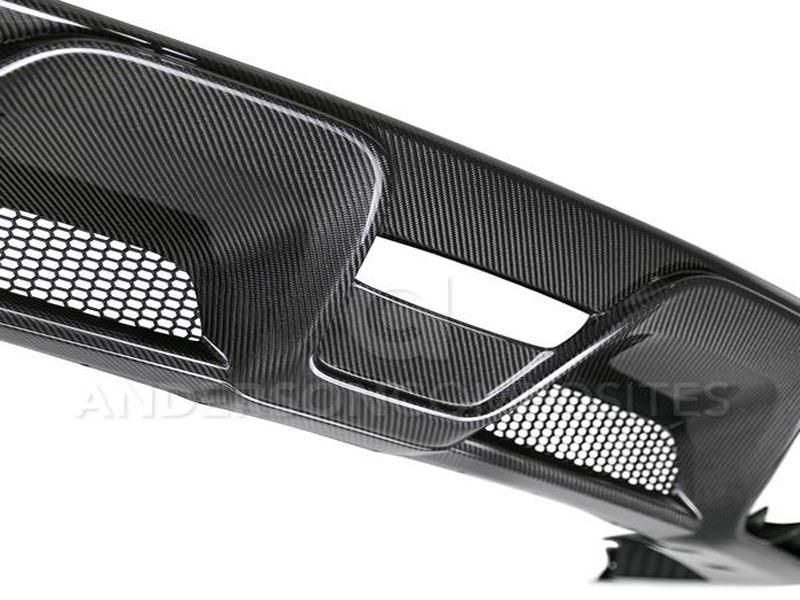 Anderson Composites produces nothing but durable, high quality carbon fiber products and has set the standard for excellence within the industry. 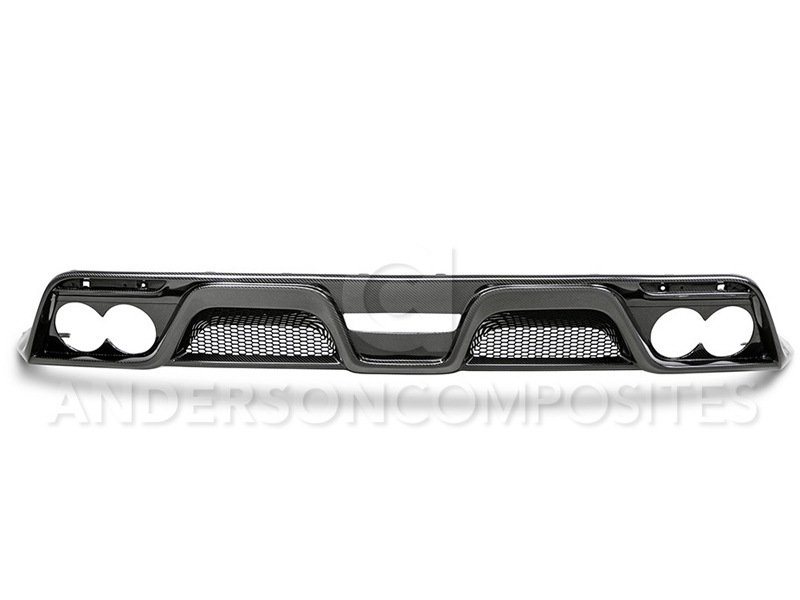 High quality materials, proper fitment, and first-class engineering has made Anderson Composites a very well-known and trusted brand here in the USA and abroad.